Thank you for all of the sweet comments yesterday :) It's nice to not feel outraged alone sometimes. Kidlet had another great day of 5th grade and we are happy to have a weekend ahead of us! This is actually a lunch from Zoo Camp that I never got to post. 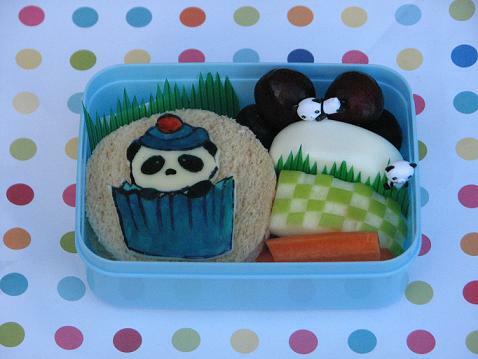 Aww, the panda is so cute, great bento!